The change of seasons is the perfect time to change your décor theme. Go for natural wood and clean, white tones for a fresh and unique ambience. 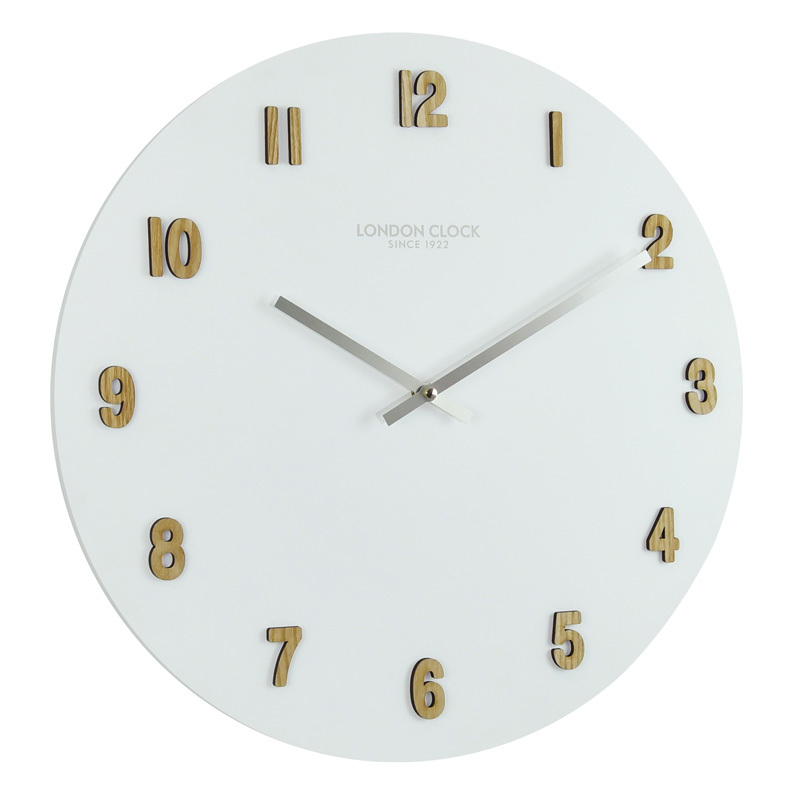 This lovely wall clock will totally fit the bill! The face is crafted from resin and finished in pure white. The hours are indicated by raised wooden numbers in natural tones of brown, sepia and tan. A stylish set of silver hands sweeps across the face. A beautiful décor piece for people who love earthy elements. Size 50cm diameter 4.5cm depth.